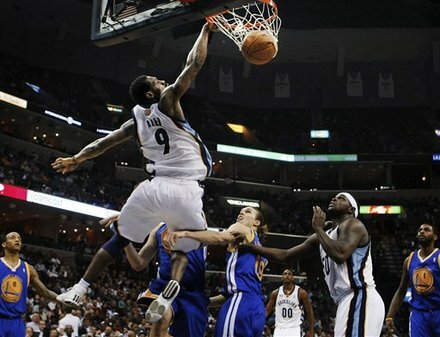 Air Congo goes baseline smashin', via NBA. 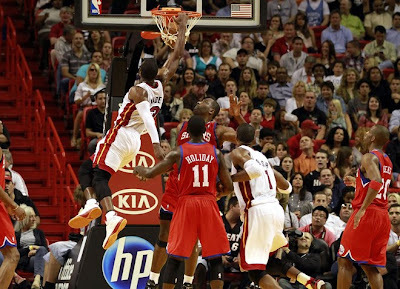 Dwight Howard spins and throws one over his shoulder for the dunk on Amare, via NBA. The Reignman with the and-1 dunk on Chuck Person. 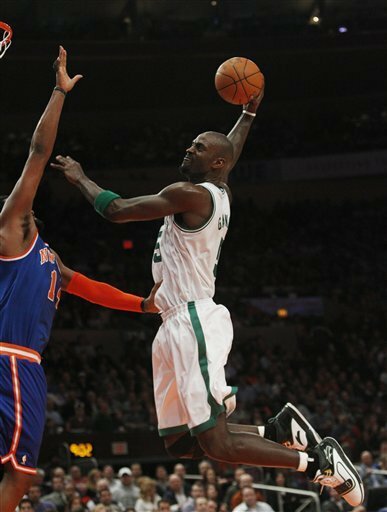 KG with the emphatic jam over Turiaf, via NBA. Didn't count, but still a nasty play right here, via NBA. 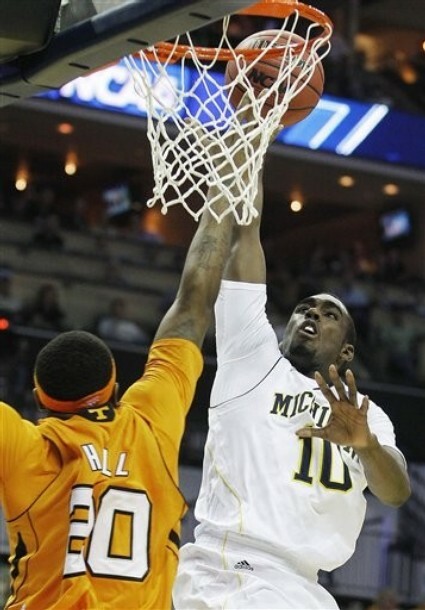 Tim Hardaway Jr. with the one-hand power slam. 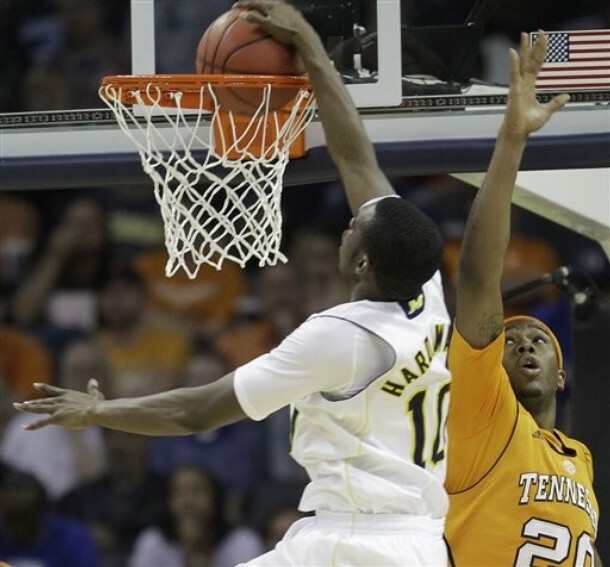 Dunker: NCAA 2010-2011, Tim Hardaway Jr.
Terrance Henry puts Bak Bak on his back. What a name huh? 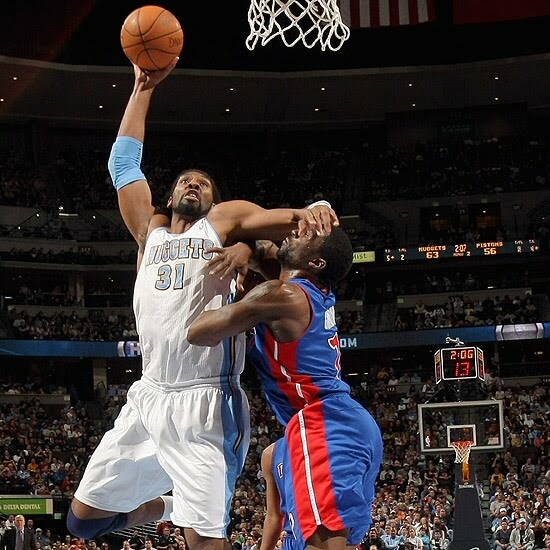 Tyler Hansbrough puts Amare in a position he's not usually in, via NBA. Didn't count, but still nice to look at. Would be nice if there actually was a restricted area marked on the court. Nene brings the pain to Ben Gordon, via NBA. 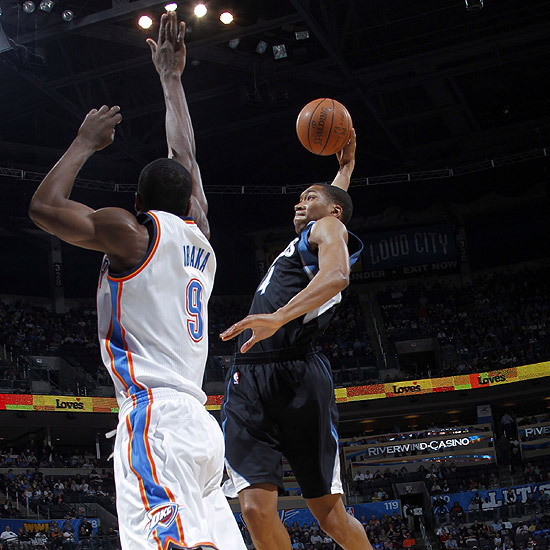 Andre Iguodala was long overdue to smash on somebody, via NBA. 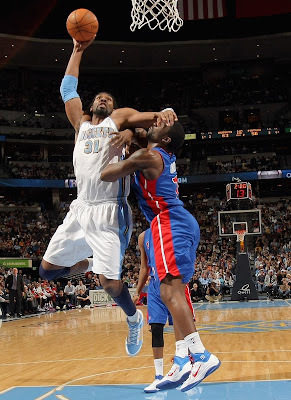 Terrence Jennings bulldozes Cam Thoroughman. Dwight should dunking on people like this more often, via NBA. Apparently R.J. Slawson didn't learn from his teammate Brian Richardson getting creamed on by Scottie Hopson the last time these two teams played. 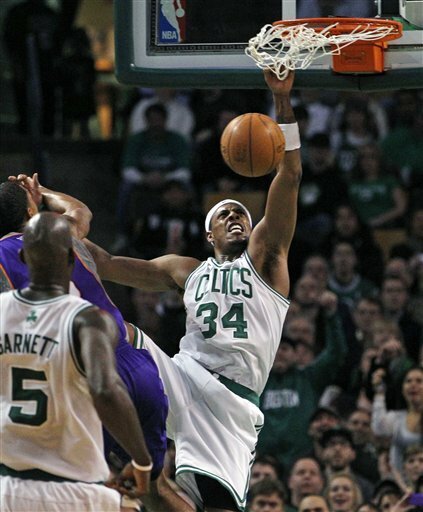 Paul Pierce with the crafty left-handed smash on Channing Frye, via NBA.